" Love this machine. Very user friendly and fast. Love those germs and bacteria getting blasted away from my mask and water chamber. " " very well designed and simple solution to an ongoing and time consuming problem of keeping the airways on the cpap clean and germ free. " Try the Lumin Risk-Free! If not completely satisfied with the Lumin, return it within 30 days of purchase for a refund. Tired of having to use harsh chemicals to disinfect CPAP masks and water chambers? Wish there was a quicker way to sanitize items? The Lumin CPAP Mask and Accessories UV Sanitizer by 3B Medical is a quick, safe way to kill 99% of bacteria known to thrive in untreated CPAP masks and water chambers. 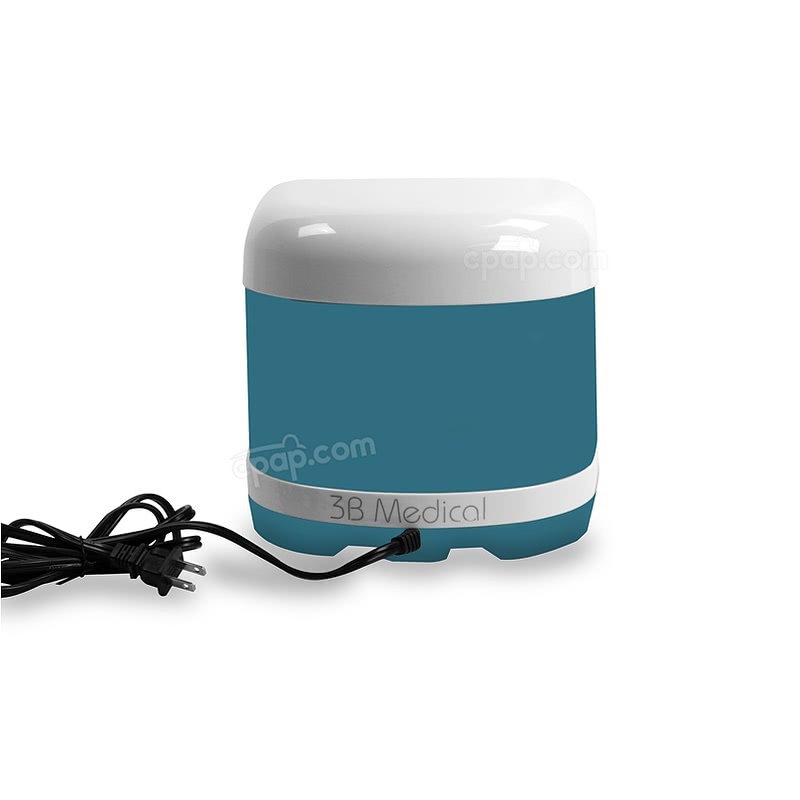 The Lumin UV Light Sanitizing Device from 3B Medical is a safe and effective alternative to harsher, more expensive devices on the market today used to sanitize CPAP equipment. The Lumin uses a powerful amount of UV light contained inside of a fail-safe chamber to kill bacteria in just five minutes. 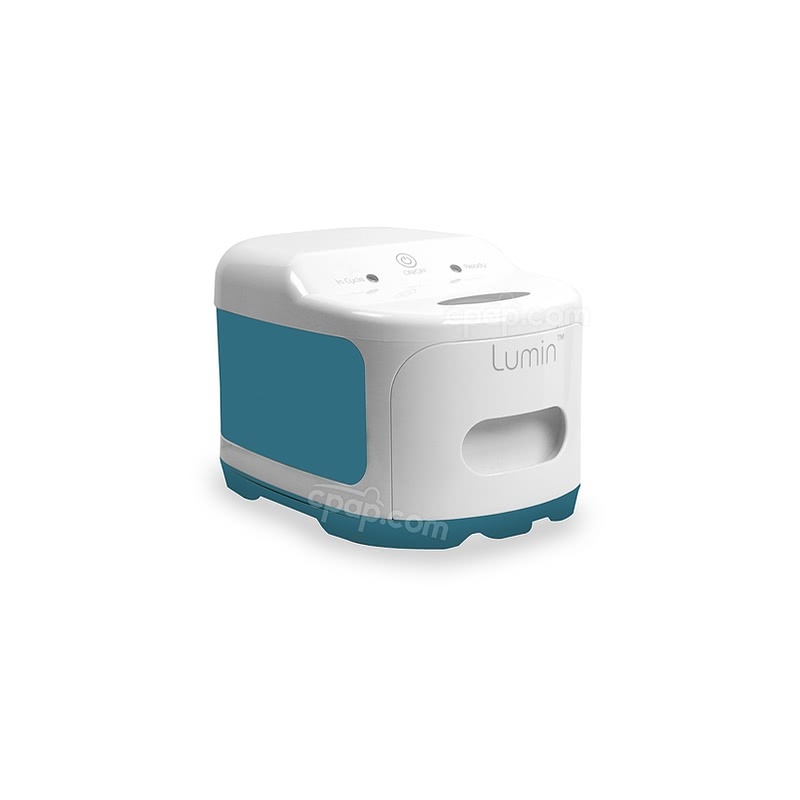 The Lumin uses a strong UV light to kill 99% of bacteria, pathogens, and fungi present on items placed inside the device. UV light is a very effective disinfectant and is used in a variety of ways in the health industry including hospitals. Use of UV light is an alternative to other methods of disinfecting which have shown to be harmful if not handled correctly. 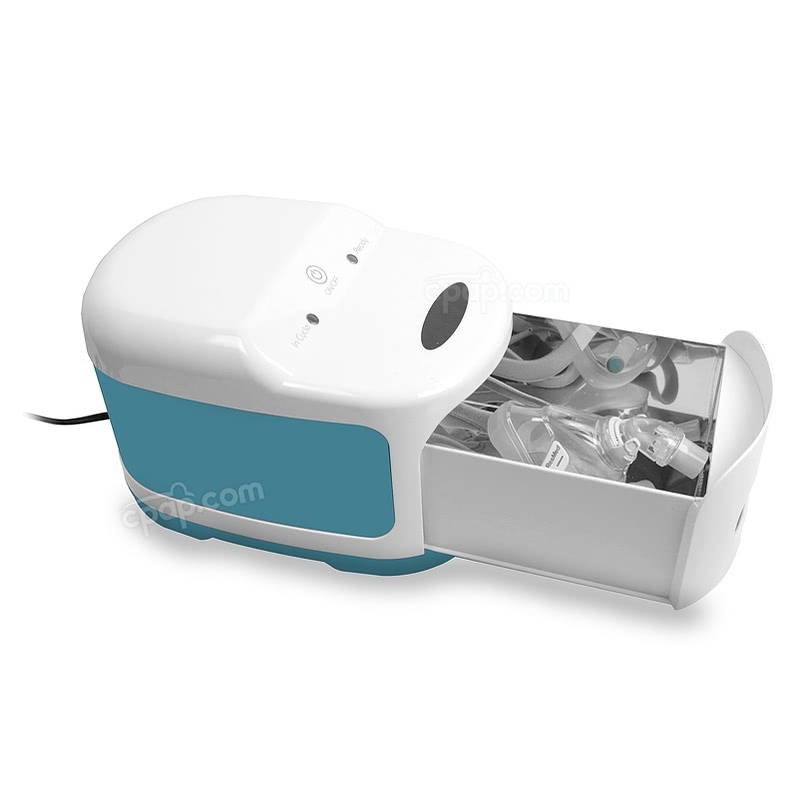 To ensure the Lumin is used safely, there is a shutoff mechanism that engages if the drawer is opened, causing the UV light to turn off to ensure UV light is not exposed to a users' eyes. One of the best features of the Lumin is how quickly it can have items ready for use. The Lumin operates on a five-minute cycle after which items inside are disinfected and safe to be used immediately. Simply pull the Lumin tray out, place the item inside, close the tray, and press the power button. In five minutes the Lumin will emit a beep to indicate the cycle is finished, and the items can be removed and used. It's as simple as that. 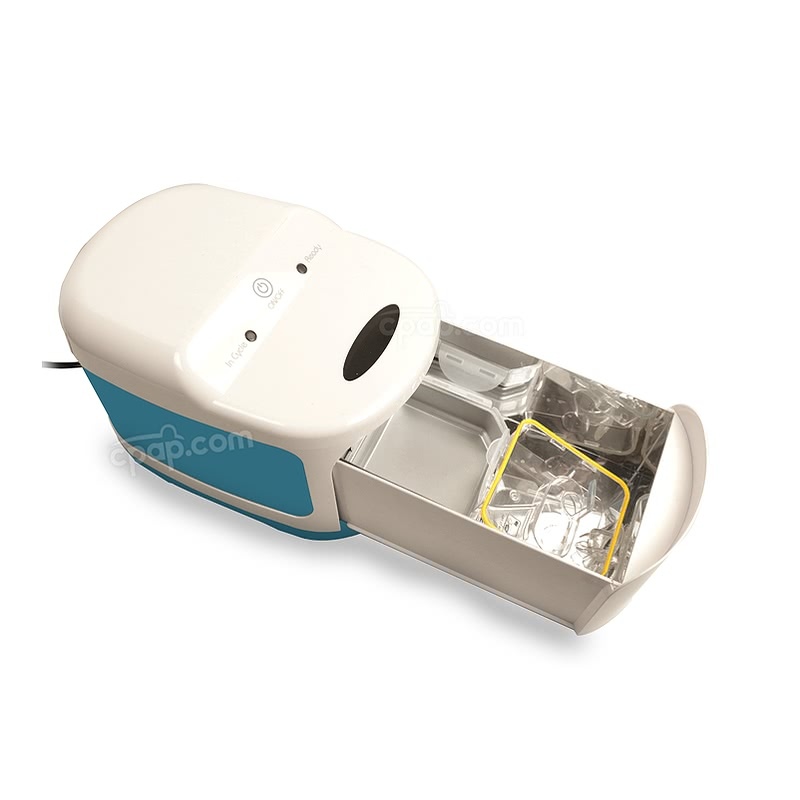 Although a great way to clean CPAP masks and water chambers, the Lumin is not limited to sanitizing only CPAP items. Any non-living item which can fit inside the Lumin tray can be sanitized. This includes common items that require cleaning such as dentures, toothbrushes, hearing aids, and many more. 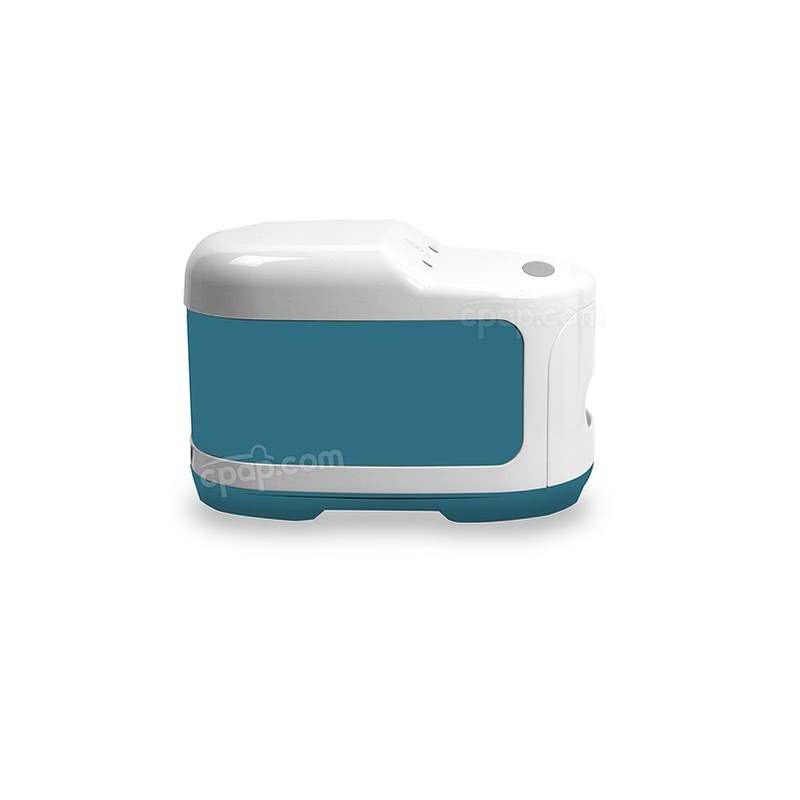 The Lumin sanitizer does not require any ongoing maintenance or replacement parts. The body of the device and tray can be wiped down if needed with a soft, non-abrasive cloth if it becomes dirty, but otherwise, the Lumin does not require extensive upkeep. The UV bulb inside the Lumin can be replaced but is intended to last the lifetime of the Lumin. Please Note: The Lumin is intended to be a supplemental part of a regular cleaning schedule. 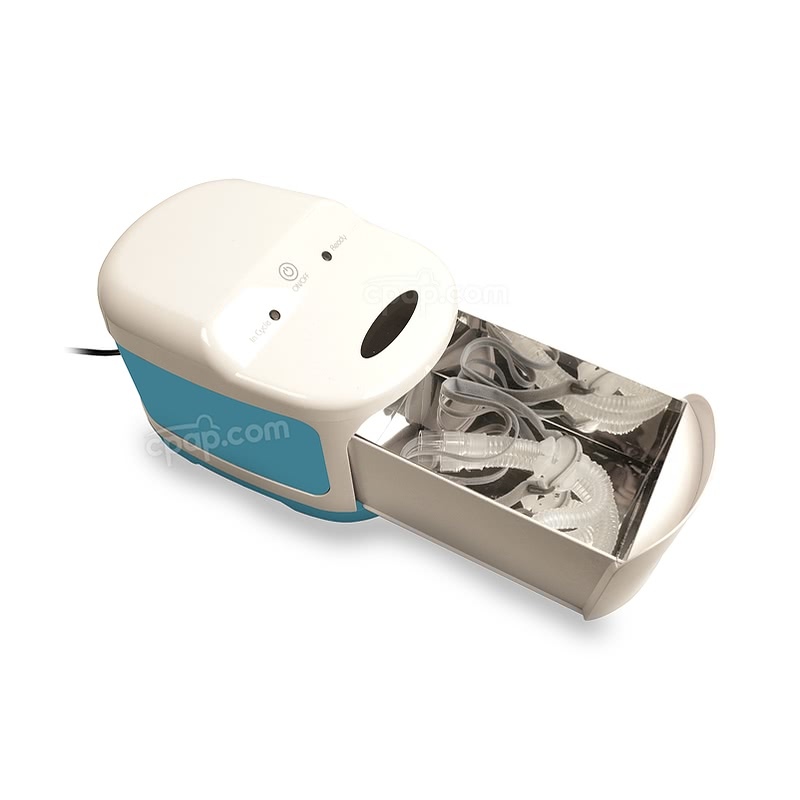 The Lumin device will sanitize the surface of items only. As a result, it will not sanitize items such as hoses, the inside of nasal pillows, or dual flap cushions as adequately as needed. It is recommended to clean these items regularly and replace as directed to ensure clean, effective therapy. The Lumin requires no extensive cleaning or upkeep. If the aluminum-coated tray requires cleaning, do so with a soft cloth and avoid abrasive materials that could cause scratches. The body of the Lumin can be wiped with a damp cloth if necessary. The bulb included with the Lumin device is designed to outlast the lifespan of the device itself, meaning it should never need to be replaced. However, if the bulb does need to be replaced, it can be purchased separately and easily installed. Grab the base of the bulb in the Lumin device and pull to remove, then insert and push the new bulb into the socket. Although the Lumin bulb emits no mercury during use, like any other fluorescent bulb there is a trace amount of mercury present in the glass bulb. If the bulb should break, it should be cleaned and handled the same as a regular fluorescent bulb. The internal tray of the Lumin roughly measures 9 1/2" L X 6 1/2" W x 4"H. The manufacturer advises that anything taller than 6" runs the risk of touching the bulb and interfering with the ability of the device to disinfect. It's recommended to not attempt to disinfect anything taller than 4". The Lumin is not a toy and is not intended to be used by children. The Lumin has a powerful UV light bulb included. Use with care in case of broken glass. Do not use around sinks, tubs, pools, or any bodies of water. The UV that is emitted in the closed chamber is not compatible with life. Never place living creatures in the Lumin. Do not stack objects on top of your Lumin. Use this device only for its intended use as described in the user manual. If the equipment is not used in the manner specified, the protection provided by the equipment may be impaired. Do not attempt to operate this device with the drawer open. The device was designed to shut off automatically when the drawer is open. It is important not to defeat or tamper with this safety feature as UVC light can cause damage to eyesight. The Lumin's design contains all the UV light used inside the tray and chamber, meaning no UV light can escape and harm anything outside of the device. It also has an automatic shut-off feature of the drawer is opened, preventing the UV light from escaping. Does the Lumin cause an odor? UVC light has no odor. The vast majority of Lumin customers experience no odor. If there is an odor it is likely similar to the smell of burnt hair. Household dust is 90% composed of dead skin cells. Skin, like hair, contains a sulfide molecule. UVC light kills pathogens by destroying DNA with high energy light. That process also frees the sulfide molecule in a skin or hair molecule. If your unit has an odor please wash thoroughly with a damp cloth using Dawn liquid detergent and dry with a paper towel. Run one cycle with the drawer empty and let the device sit overnight. Next day, your unit should have no odor. 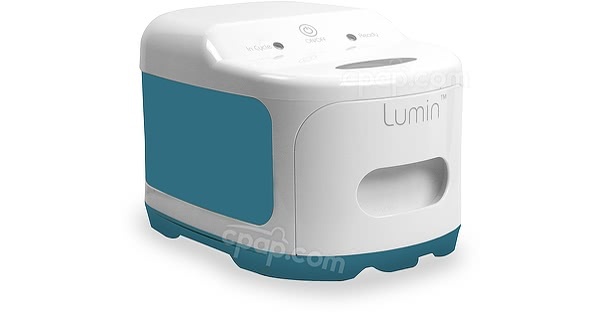 Will the Lumin damage my CPAP mask or accessories? No. While long exposure times to UVC can weaken plastics and silicone, the Lumin cycle time is only 5 minutes. One year of daily use amounts to 30 hours of actual exposure time. In accelerated aging tests, 3B has validated no damage to plastics or silicone in over 150 hours of testing, roughly equivalent to 5 years of daily use. How does the Lumin Work? "Lumin works by emitting high energy light within a narrow spectrum referred to as UV-C. The Lumin relies on a low-pressure, mercury-arc germicidal lamp designed to produce the highest amounts of UV energy – where 90% of energy is generated around 254nm. This light is very close to the peak of the germicidal effectiveness curve of 265nm, the most lethal wave to microorganisms. The dose of UV-C emitted in one 5 minute cycle is sufficient to kill most bacteria and mold on a surface. The use of UV-C is environmentally friendly, leaves no residue or toxic gases or chemicals. UV-C systems are currently in use to disinfect operating rooms, ambulances, emergency service vehicles and other high touch areas." Why did 3B Medical choose to design a device that uses UV light to sanitize instead of other methods like ozone / activated oxygen? For that reason, in designing the Lumin, care was taken to find the safest and fastest way to disinfect CPAP accessories. UV-C was by far the best solution."